As I mentioned, I eat a lot of sunflower seeds and sun butter. I really love the organic unsweetened version of this brand of Sunbutter because there's just one ingredient: roasted sunflower seeds. I always have sun butter in my house because it's a fabulous nut alternative and when I'm hungry and need a quick snack, a spoon of it is just perfect. 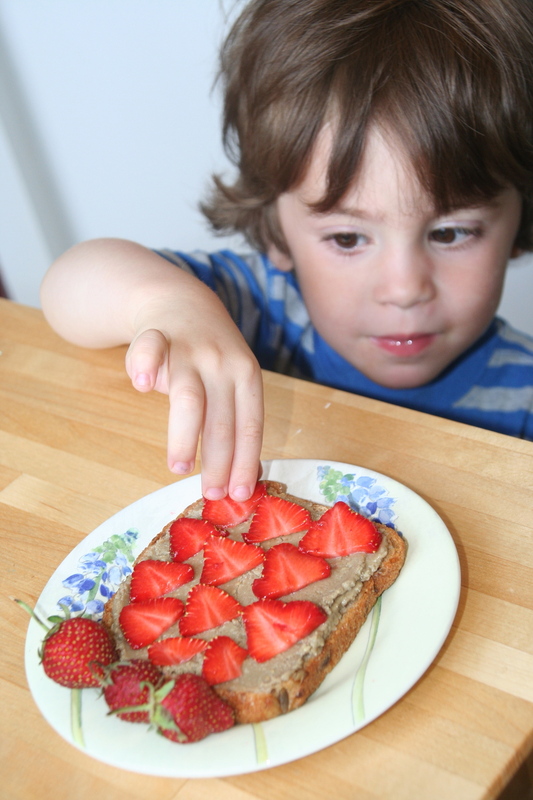 My kids love sun butter too, and it's a frequent lunch choice on a sandwich with fresh fruit slices or jam. I decided to try my hand at making my own sun butter. It's harder than I thought it would be! I tried several times using raw sunflower seeds and adding oil instead of starting with roasted seeds and the result was pretty gummy and not at all smooth and creamy like I had hoped. Blah. Then I tried using maple syrup instead of honey but that didn't turn out well either. I finally got it right using roasted seeds and didn't need to add any extra oil. Victory! My successful recipe had just two ingredients: 1 cup of roasted, salted sunflower seeds and 1 tablespoon of honey. That's it! Next time I plan to eliminate the honey and use vanilla extract and cinnamon instead and see how that goes... For any nut-allergic folks, be sure to read the label on roasted sunflower seeds to make sure they're not roasted with peanut oil. 1 cup of roasted sunflower seeds. First the seeds became dry and crumbly. It took patience and time to get to the next stage. When you think it's time to give up, keep going! The oils take a while to be sufficiently released to produce the desired outcome. Finally! After 7 minutes in the processor, the sunbutter began to resemble what I think of as sunbutter. Then I added 1 tablespoon of honey and pureed till smooth. Lunchtime! A great sandwich for a hot day.